The age of the Paperback Action Hero series lasted from 1970 to 1984. These dates are arbitrary, but they do represent a high and low. From Don Pendelton’s War Against the Mafia, which began the Executioner series, to Michael Stackpole’s Gold Eagle books. Along the way, many a writer honed their craft knocking out rivers of bullets and junkyards of wrecked vehicles. Since nothing worthwhile in America is appreciated until it’s gone, these books have started developing their own cult. There’s even a blog dedicated to reviewing them which you can read by going here. 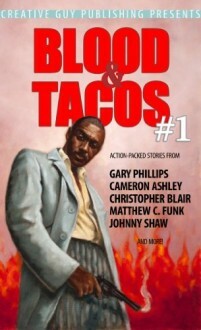 The first collection of Johnny Shaw’s Blood and Tachos is both an amusing look and homage to the Death Merchants, Destroyers, and Baronesses of the 70’s. He’d originally planned to introduce each of the original writings as “discovered” manuscripts, but decided to let the tribute angle take over. Which I am glad to hear: if an older template is good for nothing else, it allows a new writer the chance to play in the old bone-yard. The 70’s have been conveniently written off as the lost decade of Disco and Drive-Ins. I am here to tell you that it seemed as scary as the 60’s and as depressing as the 30’s. Oil crises, corrupt politicians, conspriacy theories everywhere. All presided over at the end by a peanut farmer who couldn’t even control his own family. Part of the country longed for a man of law with a gun. For better or worse, these books ( and the Dirty Harry movies) fed the need. “The Silencer Strikes” by Mal Radcliff (discovered by Gary Phillips) takes the reader into 42nd Street territory. A black avenger known as The Silencer ( for his quiet) gun goes up against the local mob bosses to save innocent youths. It’s an excellent story suited for the grind-house, but at home on the spin rack at your local 1975 greyhound bus station. “Longhair Death Farm”, featuring The Albino Wino, by Clifton Wetzel-Bulinger (discovered by Cameron Ashley) features a pigmentally-challenged homeless man who’s abducted by a Mansonoid cult. This one would’ve fit better into Terror Tales, but the action is intense. I’m looking forward to more adventures from this hero. “Battleground USSA: Texasgrad” by Max Auger (discovered by Christopher Blair) wins my nomination as the best story in the collection. Capt. Mike McCreary, leading a recon team into the American west discovers his hometown has been captured by Godless Communists. Will he be able to free his home and hearth from the Red Menace? What makes this one specially excellent is it’s perfect blend of satire and politics. It’s not easy trying to moon someone else’s politics; usually the writer comes off as stupid and mean-spirited. “Battleground”, on the other hand, is hilarious for all the right reasons. “Tiger Team Bravo in Bonds of Blood” by Lance Matrix (discovered by Matthew C Funk) is a action adventure where a Special Op team officially dead goes after the records of a Colombian cartel. They succeed in their mission, but something far more sinister than a drug lord awaits them afterwards. A lot of fun, it reminded me of The A Team. The final tale concerns “Chingon, The World’s Deadliest Mexican in Blood and Tacos”, by Brace Godfrey (discovered by Johnny Shaw). Chingon the mercenary is hired to rescue a senator’s daughter from a biker gang inside Mexico. This is the movie Machete should have been if it had fulfilled the original trailer’s promise. The world needs a full Chingon novel. 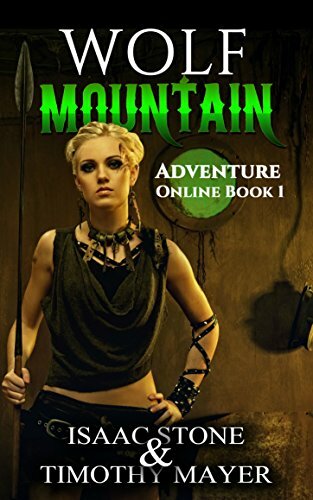 Fianlly, there’s some fun reviews of action novels from the time period. The Penetrator #14: Mankill Sport sounds like a wild read with the hero in a Most Dangerous Game scenario. Raker sounds so bizarre I was ready to believe it a concoction. There’s a small look at Bayou Brigade featuring Buck Saunders. Most of the stories in this collection would make good novels. Should be the next direction taken by the publisher.